The wreck of a crashed US aircraft In Iceland is located on the beach “Sólheimasandur”. The plane made an emergency landing here on November 24, 1973. Fortunately, no one died during this accident. People say that the plane crashed here because of bad weather. The pilot apparently missed the airport in Keflavik and ran out of fuel. The wreckage of the aircraft is quite popular in Iceland. But, due to the fact that it is difficult to find I was there for three hours and I didn´t see more than five people at once. So, you can easily take as many pictures as you want. The weather was fine, there were huge clouds. I mounted the filters and began to take pictures. 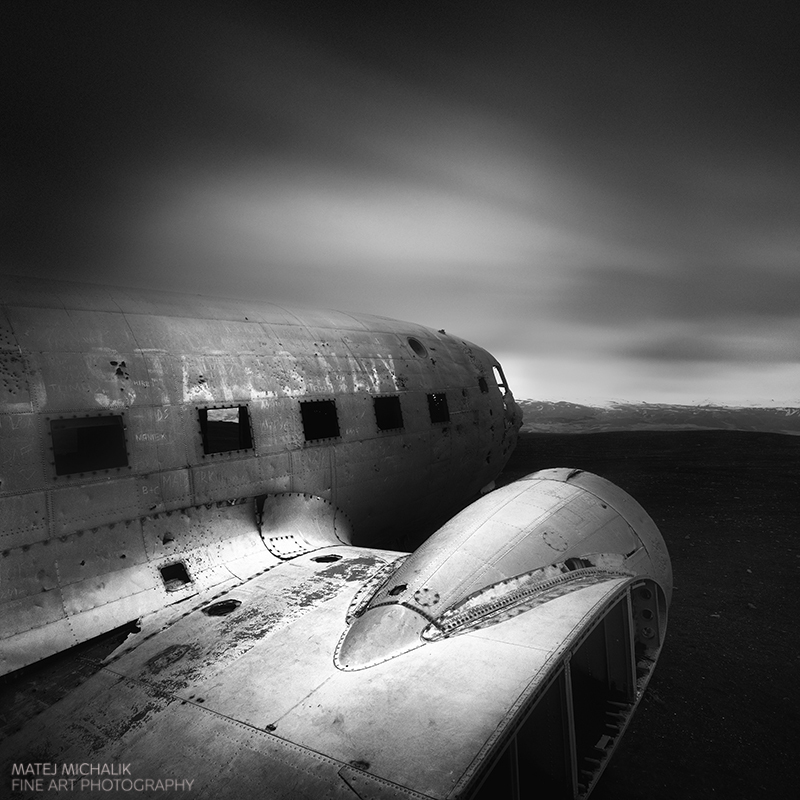 Black sand, metal gray plane, nice movement of clouds – perfect conditions for black and white long exposure photography. I did some pictures from different angles. This is such a photogenic place, so I did not even want to leave. Really, at this point, you feel like you’re on another planet. If you would like to read more articles about nice spots in Icelend, click here. You can also buy fine art prints of my pictures here. On Saturday Nov 24, 1973 a United States Navy Douglas Super DC-3 airplane was forced to land on Solheimasandur’s black sand beach in the south of Iceland after experiencing some severe icing.